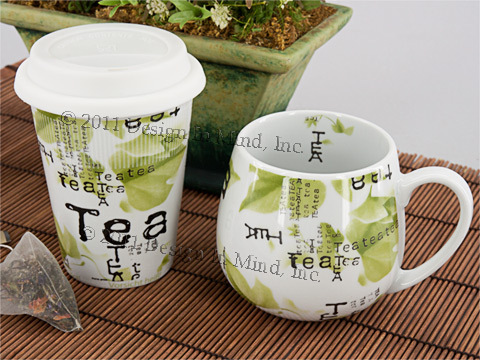 Stainless steel and ceramic mugs with lids specifically designed for use on the road. The 12 oz. Pulse tumbler by Liquid Solutions. Double wall plastic tumbler provides hot or cold insulation for up to 2 hours. Screw on lid with easy sip, closing lid. 9"h. 3.25" top dia. tapers to 2.5" bottom dia. Handwash. 16 oz. 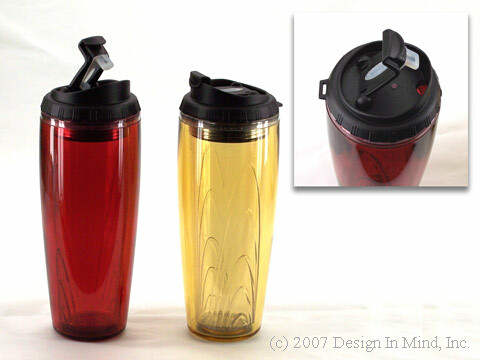 stainless travel mug in translucent red or soft black finish. Lid has easy sip, closing lid. 7.5"h. 3.5" top diameter. Comfort grip handle. Hand wash only. Enjoy hot beverages in your car, SUV, RV, boat or truck!!! 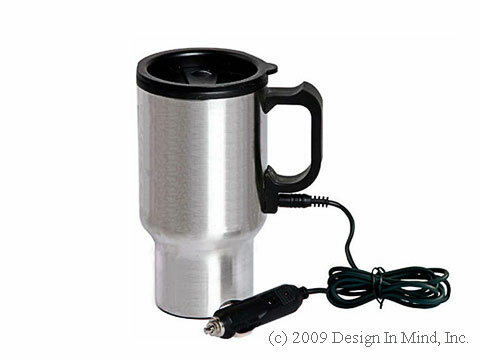 Mug plugs into most 12 Volt receptacles. 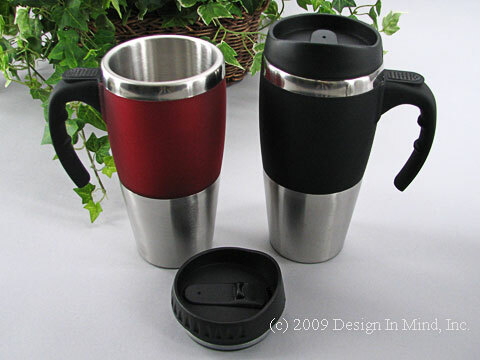 Stainless Steel, 16 oz mug fits into all standard cup holders and is great for use in traveling and outdoor activities. 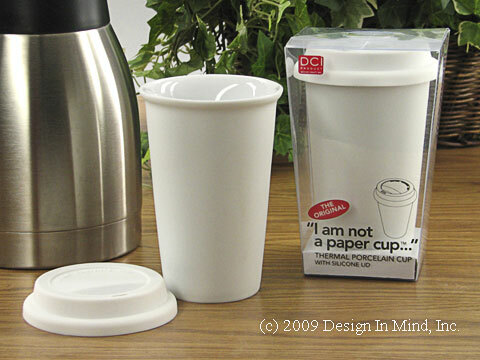 The heat element is contained in base of mug so no mineral or beverage residue can build upon heat coil! Heats beverages to 145ºF (65ºC) in 30 minutes. 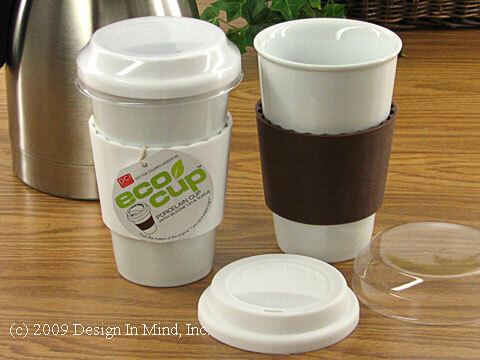 Keeps coffee, tea, water, or any beverage warm. Double wall vacuum insulation for maximum temperature retention. Preserves temperature for up to an hour after unplugging. Spill Proof Lid. Detachable 12V power cord. Power Consumption = 24 Watts. Wipe with clean damp cloth before first use. Mug is stainless steel and NOT to be used in a microwave nor dishwasher. Made in China. Limited to stock available.